Full cheeks is a distinctive sign of youth and health face, the fat face is also less visible age-related changes. However, many holders of full cheeks, very often want to get rid of them. Today, there are many ways to do it. Measures of getting rid of cheek inherent in themselves the causes of their appearance, so it is necessary, first and foremost, watch your weight, eat plenty of fruits and vegetables, straighten the neck, drop the head, and during sleep it is recommended to enclose under a head a small pillow or roll under the neck. There is also a set of special exercises that allow to get rid of the cheeks. Take standing or sitting, pull the spine and neck(high lift your head at the same time), and then make head turns alternately right and left. The exercise is done not less than 20 times in one approach and three to five times a day. You need to sit down and lean on the edge with elbows, then propping up his chin with his hands. Try to tilt your head forward, overcoming the resistance of hands and then try to relax. Repeat this exercise about 15 times. It is also useful to perform a self-massage of the cheeks several times a day. You can use two massage reception: l)move with a little pressure from your thumbs, starting from the lower jaw moving to ears; 2)how would pokolachivanii the lower part of the cheeks a light and rapid movements of the fingertips. Good results can you achieve by applying the water treatments(including wraps). Morning and evening to wipe the cheeks with cold water, better special herbal infusion that you can make at home(in infusion may include chamomile, St. John's wort, mint, celandine, sage, or yarrow lime blossom). If you cook it at home, remember that 1 tablespoon is needed half Cup boiling water; infuse this solution to be 20-25 minutes. Don't forget that the infusion can be stored in the refrigerator for only three days. Please note that the muscles recover their tone in about three weeks, so wait for the result before then is not worth it. 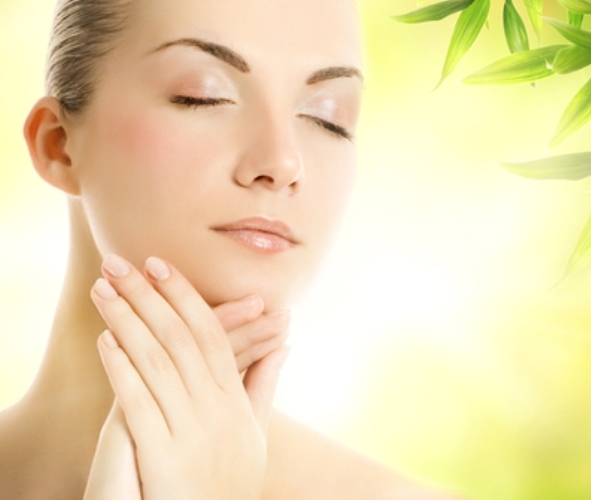 Effective means to reduce the cheeks in the home, as well as to strengthen and improve the skin is facial massage. It has a beneficial effect on the blood vessels, muscles, skin, maintains its elasticity, preserves freshness and protects the skin from premature aging. This is not a complete list of advantages of massage, which is an effective tool in the deposition of fat on the cheeks. Better not do massage, if you on the skin are observed in inflammatory processes, increased growth of hair, flat warts, herpes. You must first remove these troubles. So, first gather your hair under a hat or in a bun, don't forget to wash your hands with soap and clean the skin with lotion (this is mandatory in the case of oily skin). Dry skin is better to grease with a fat cream. After cleaning the face, apply a nourishing cream with a thin layer. Now you can proceed directly to the massage. Watch out for smooth and easy movements. During the massage you should use a padded ring, index and middle fingers. Face massaged strictly "massage lines": the middle of the forehead – whiskey, wings of the nose, the whiskey, the corners of the mouth – the middle of the ears and middle of the chin to the earlobes. Start need massage with light strokes, then continue with a soft Pat on the lines of massage. If you have a lot of forehead wrinkles, will help the longitudinal and transverse stroking and tapping of the forehead. The chin should be massaged vigorously, using the entire hand. Pay special attention to the cheeks, since they strongly interfere. The recommended course home massage of the cheeks and the entire face is 10 procedures. The duration of treatment should be 7-10 minutes. For maximum and rapid effect do massage at least twice a day. After the main massage course you will notice that the skin on his cheeks tightened considerably. To maintain the effect, it is sufficient to carry out maintenance massage once a week. After the session Pat dry to remove excess cream. If you want to immediately after a massage out on the street, not prepodavateli and put makeup. It is also important to maintain the health and elasticity of the skin to eat right. Try to include in your diet more salads, fresh fruits and vegetables. 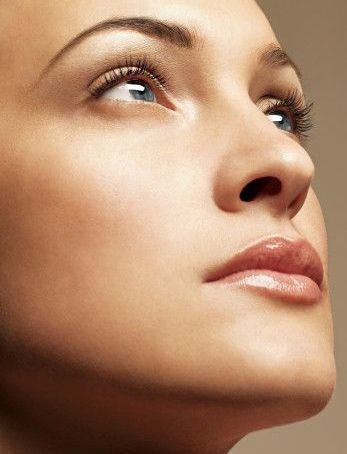 With age, the oval of the face begins to lose the form, you receive the "second" chin, and deep wrinkles. There are many ways to slow down this process, but the most affordable and effective is to strengthen the muscles of the face. The muscles of the face are strengthened with special exercises. The most important thing in exercise is consistency. To achieve a stable result, you must do them daily. It will help tighten up the face better than the expensive creams and keep a young and fresh look what plastic surgery can not give. Before beginning gymnastics, you must wash off all makeup. Often the first wrinkles appear around the eyes, so it's important to pay attention to the strengthening of the muscles in this area. For this you need to do the following exercise. Index finger position in the outer corners of the eyes, and the middle – in the inside, press (pressure should not be strong). Look up, bringing the eyes as much as possible. It is necessary strongly to squint, straining the lower eyelid. Hold the tension for a few seconds, then relax your muscles. You must repeat 4-5 times. To strengthen the muscles of the cheeks useful the following exercise. Place the index fingers under the eye sockets. Expand and lift the corners of her mouth, as if smiling. At this point, you should feel how tense under his fingers the muscles of the cheeks. Lower the corners of the lips and relax the face. Repeat the exercise about 20 times. To tone the muscles of the face do this exercise. Slowly say the letter "a", "o", "u", "s", with much pulling or stretching lips and straining muscles of the face, as if you want to clearly pronounce the letters. To prevent the "second" chin and strengthen neck muscles necessary to do the following exercise. Place palms together and place them on the neck near the collarbone, while lightly grasping and pulling down the skin of the neck (not much). Squeeze the lips and slightly bend your head back. At this point, you should feel how tense the muscles of the neck and chin. Hold the head in this position for three seconds and return to starting position. Repeat 25-30 times.It is important that every time you exercise, you could feel the tension in the trained muscle, or the exercises simply no effect.